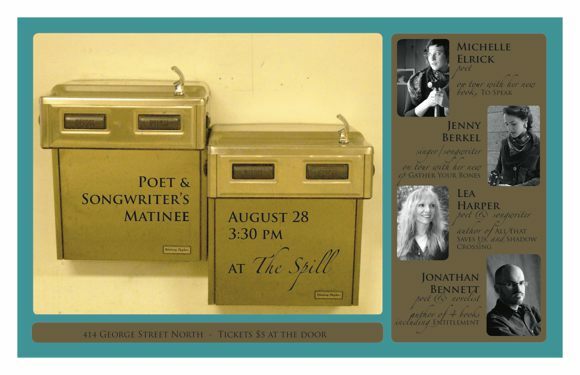 This Saturday (August 28th), some poets and musicians—including local author Jonathan Bennett—will be participating in a special Poet & Songwriter's Matinee at The Spill Coffee Bar. It takes place from 3:30 p.m. to 6 p.m., and tickets are 5 bucks at the door. Spread the word.